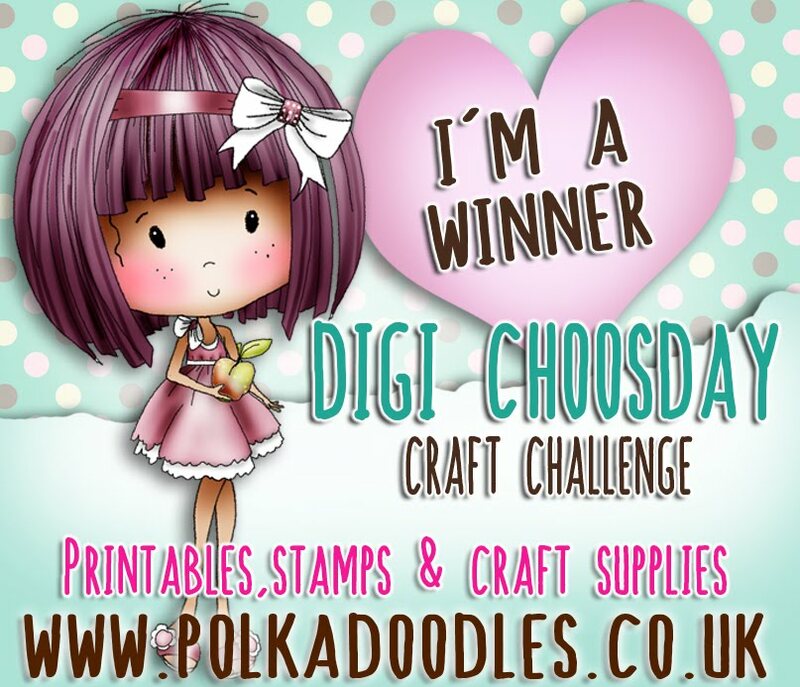 Have you checked out our Digi Choosday Facebook page? We have a weekly game that everyone can join in and try for a prize - Make sure you check it out here!! 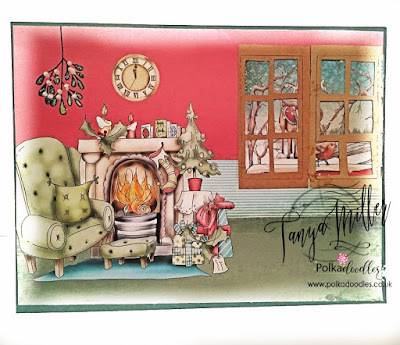 Anjie - I have used the fabulous Baked With Love collection. I told you I loved it and that you would see lots of it lol. 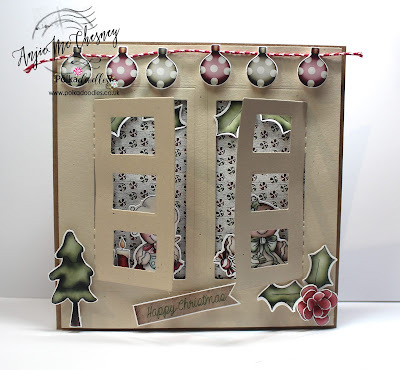 I have also incorporated another of my fave makes, a tag! Pop over to my blog to see more info and photos. 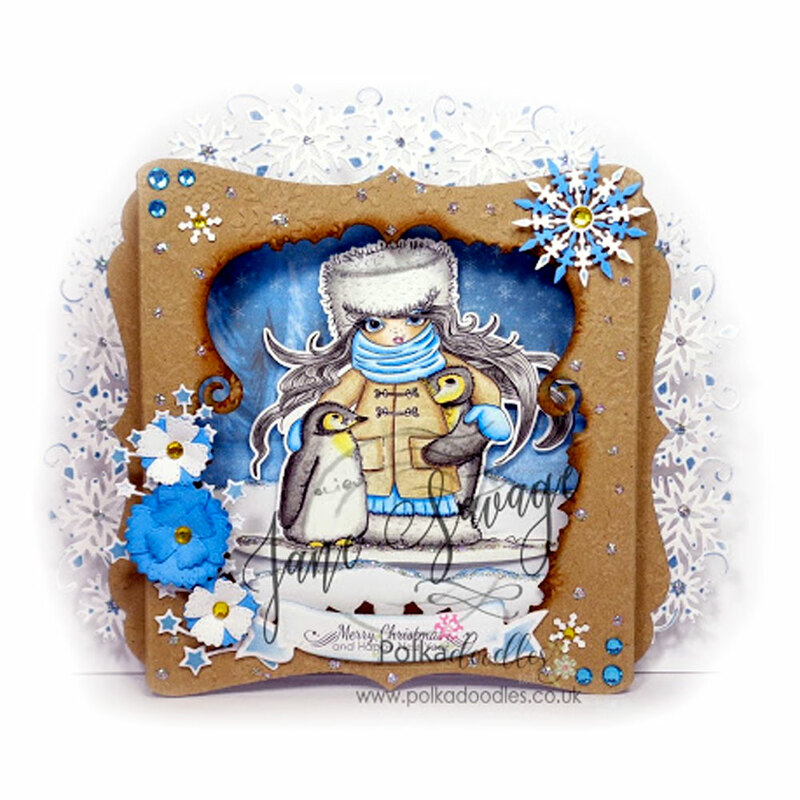 Jane P.- This week I have used the wonderful Octavia Frosted Winter. Just loving the rich dark colors of this collection. If you would like more info head on over to my blog. 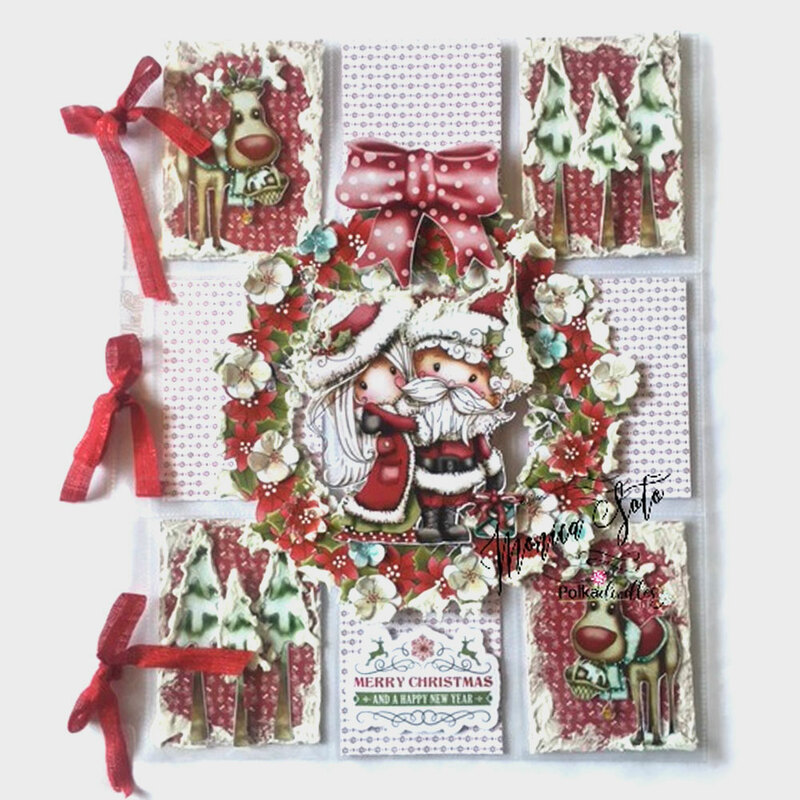 Monica - Spots & stripes are always adorable, and even more with gingerbread cutties and traditional Christmas colours. 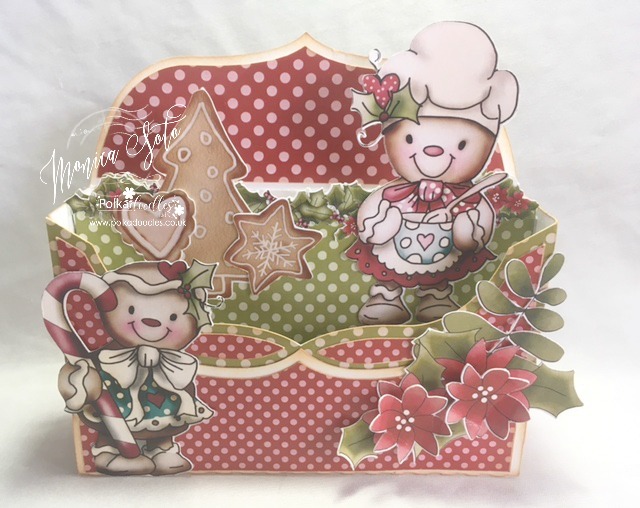 To make my box card I used Baked with love gingerbread. Julie - This week I have transformed some basic wooden coasters into lovely festive ones, using Papers, sentiments and images from Octavia Frosted Winter, pop over to my blog to see each one close up. 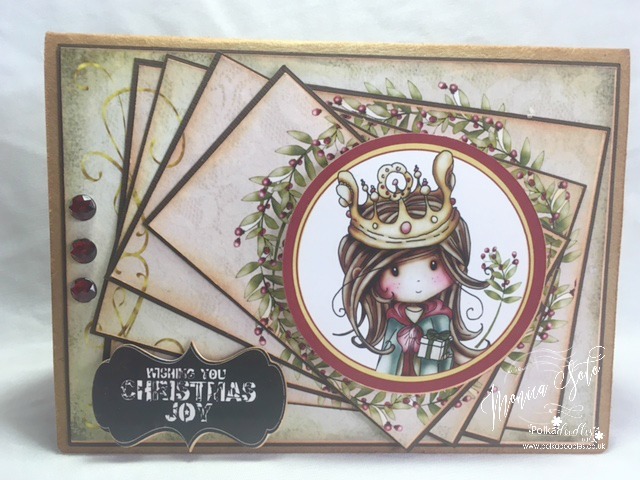 Rebecca - I have used such a cute image from the winnie-winterland collection. 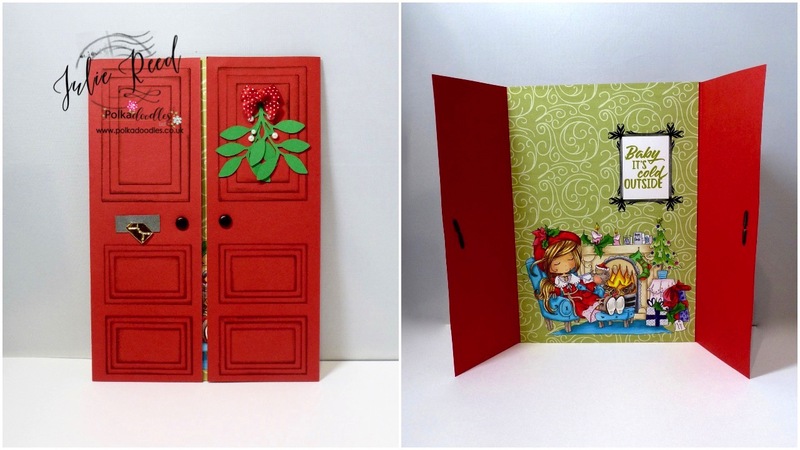 I like to use colours other than the traditional Christmas colours. 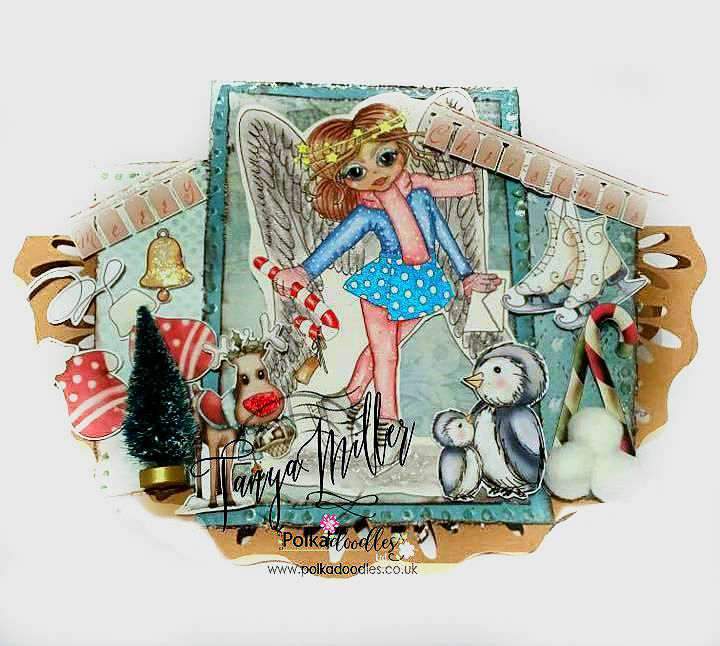 Tanya - This week I've made a shaped card using different embellies from Winnie in Winterland and papers from Festive Christmas and also the lovely Angelberry Skater digi that you can get singly or in the CD collection here. More details are on my blog. 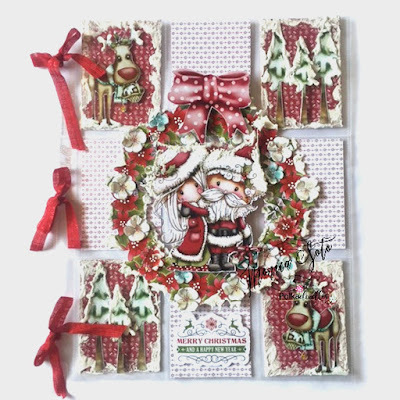 Jane S - I just adore this fabulous Santa and you can find him and all the elements I have used on my card this week in the amazing Picknix 3 Nordic Winter Collection. 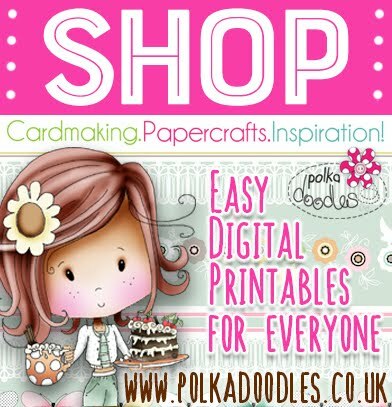 I have also used some of the new Polkadoodles Dies too. Lori - For my card this week, I printed out the striped and dotted papers, pre-colored image, candy canes and sentiment window scene and gingham paper from the gorgeous Work & Play 5 - Festive Collection and fussy cut it out, popped it up on the black cardstock and added some gold freehand glitter pen stars behind him. Please email us HERE quoting DCW048001 to claim your prize of £5 worth of downloads from the digi store! 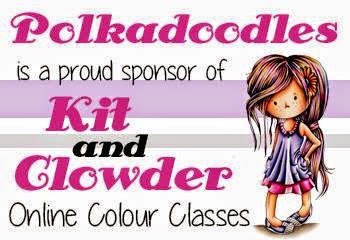 This month we are sponsoring 2 fabulous new Colouring Classes over at Kit & Clowder so make sure you check it out! 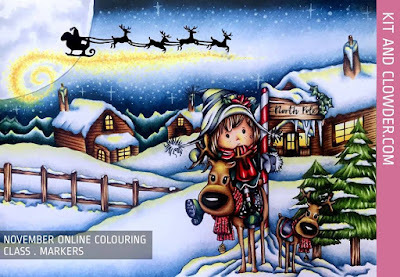 You will be learning a whole lot this month... how to colour snow, night scenes and skies, glowing lights, fur, outfit details, and much more! 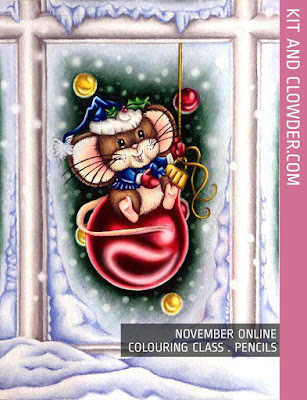 You can use these techniques to enhance your colouring on *any* project, and you will be able to learn the background and character colouring so you can use them together or separately for your crafty projects. 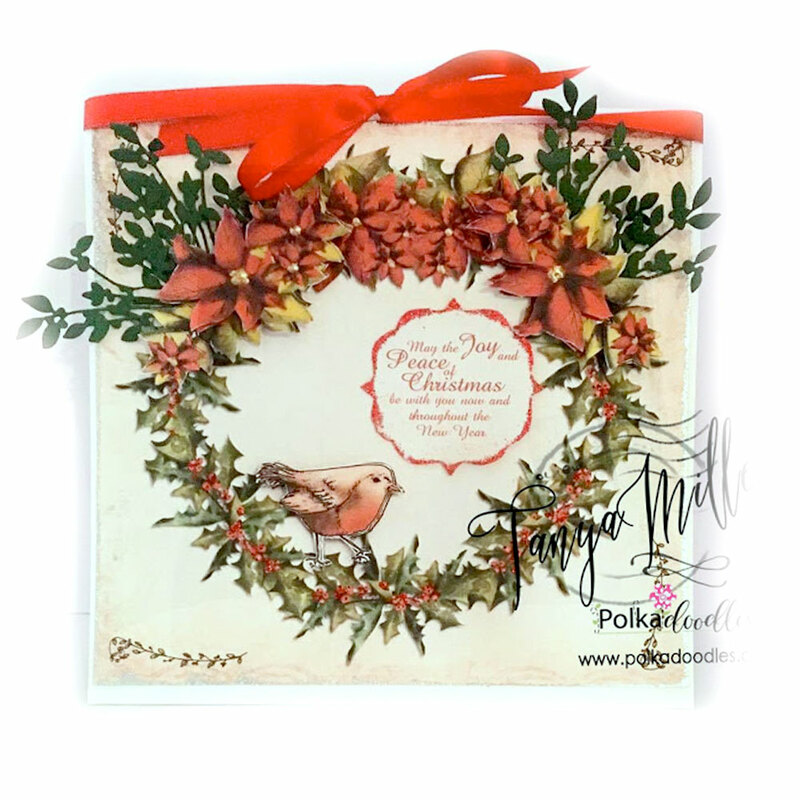 You will receive both downloadable video and printable step by step instructions for every part of the image and background. 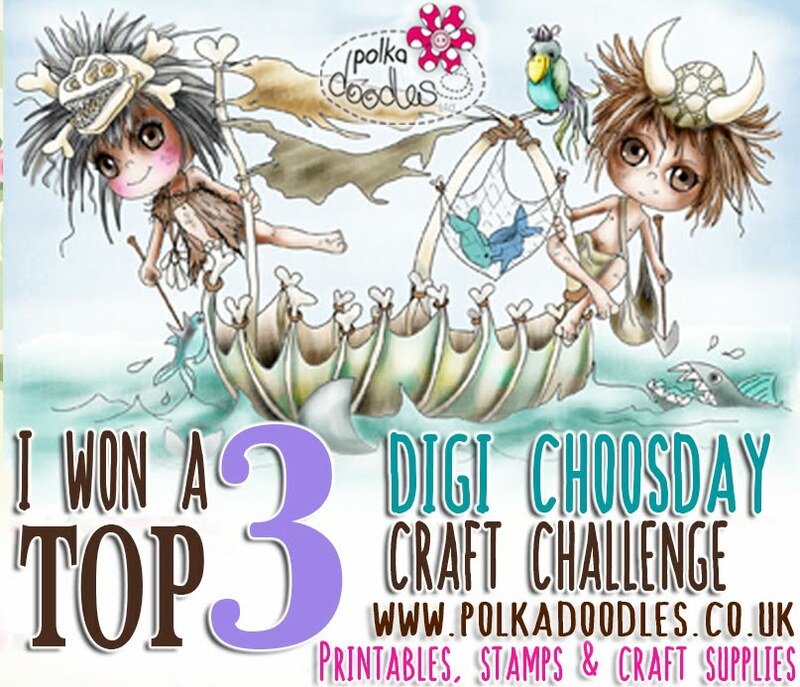 PRIZE: The random winner (chosen by Random.org) will receive 3 digi downloads of your choice from the digi store! The winner and top 3 for week 44 can be found at the bottom of this post. Anjie - For this make, once again, I have used the fabulous Baked With Love collection. 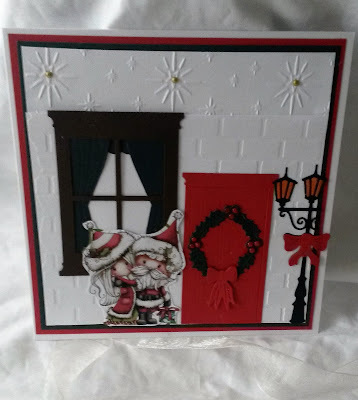 Lori - For my card this week, I printed out the window scene and gingham paper from the gorgeous Festive Christmas Download Collection and fussy cut it out, popped it up on the beautiful Bubbleicious Frames Die then added some glitter for the snow. LOVE these colors together! 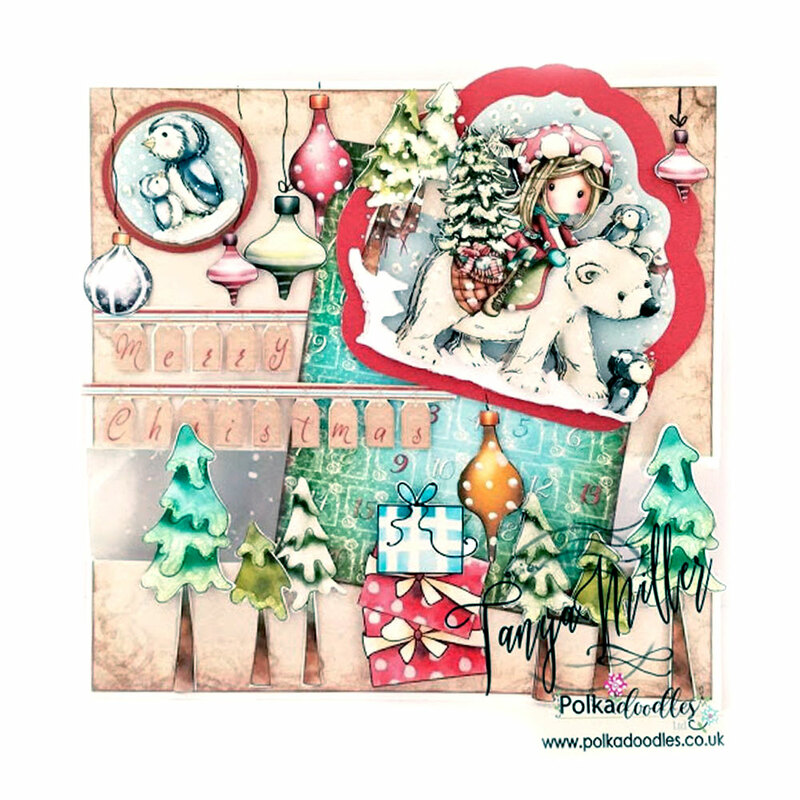 Rebecca - I have created a festive scene with an image from Winnie Winterland. Such a cute image! Please email us HERE quoting DCW047001 to claim your prize of £5 worth of downloads from the digi store! The winner and top 3 for week 43 can be found at the bottom of this post. 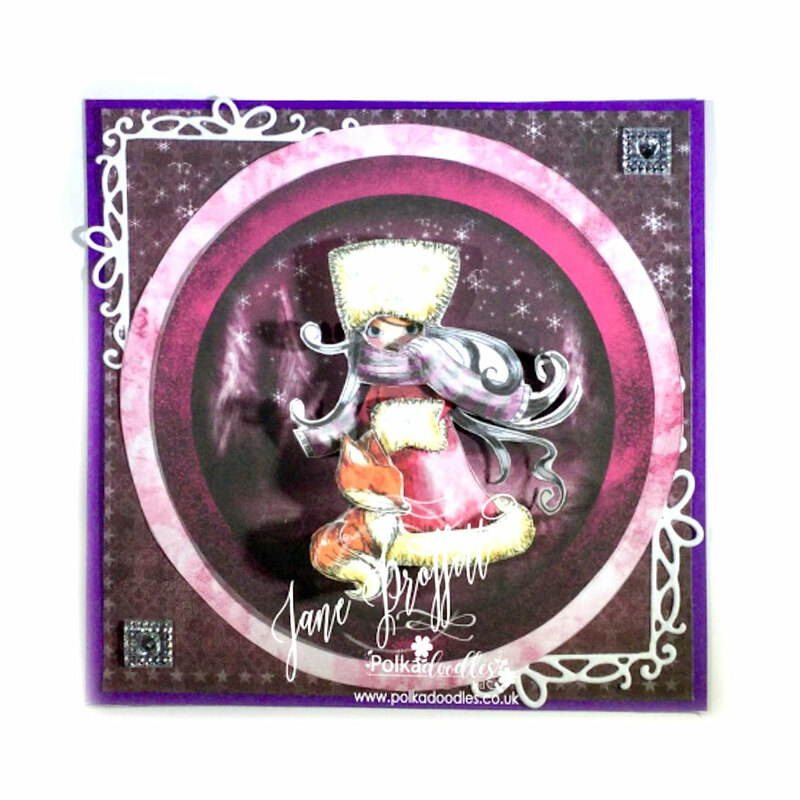 Anjie - For this make I have used the fabulous Baked With Love collection. 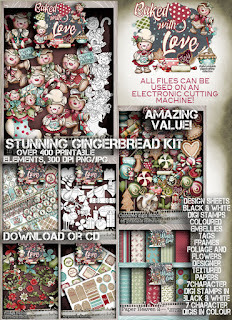 I adore Gingerbread men and women in case you didn't know lol, so of course this collection makes me very happy indeedy. This is simply put together using a square card and square mats and layers. 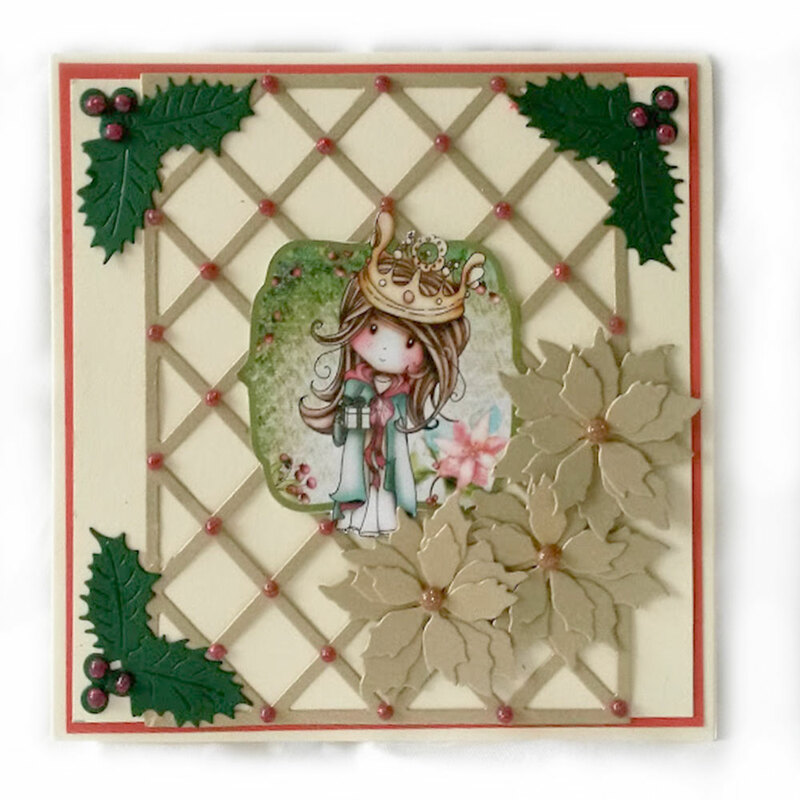 The top layer I have used the oval die out of the Bubbleicious Frame Die set from Polkadoodles. More info and photos on my blog. Jane P.-Can you hear my printer humming? 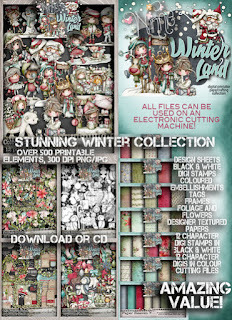 This week I printed out several copies of a designer sheet from the Octavia Frosted Winter. Check out the other pictures on my blog. Julie - Today I have made a cute little Christmas Tree shaped card, using some of the new dies and an image from Winnie Winterland, coloured with Copics. 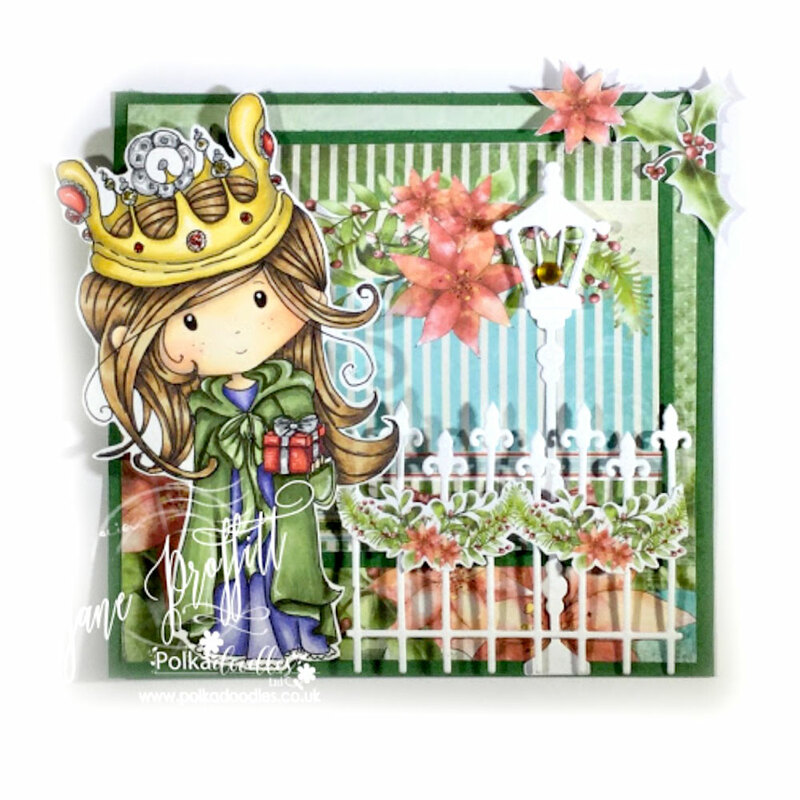 Monica - For this card, I used Winnie Winterland design sheet DS-07. 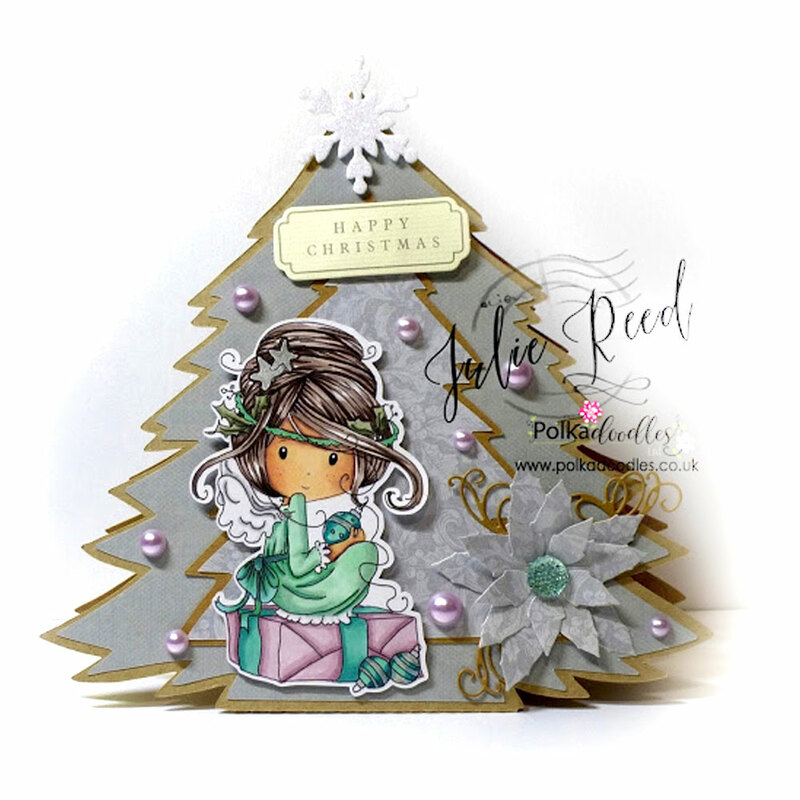 I cut the garland background several times in different sizes, and then twisted them to make 5 layers, and ended with the lovely precoloured Winnie topper as a focal point. Please email us HERE quoting DCW046001 to claim your prize of £5 worth of downloads from the digi store! The winner and top 3 for week 42 can be found at the bottom of this post. 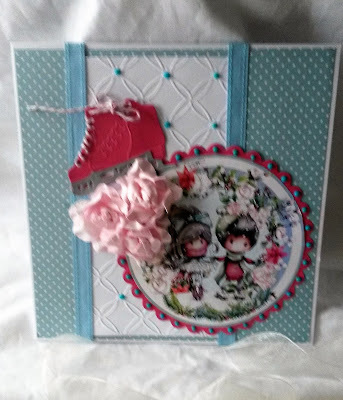 Jane S - I have used the super cute Baked With Love for my card this week and the fabby Bubbleicious Frame Die Set. Tanya - This week I have made a card using the Festive Christmas collection you can get HERE on download and HERE on CD and then used the Super Sprigs Cutting Die. 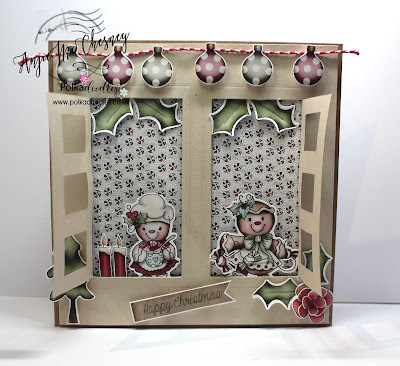 More details are on my blog. 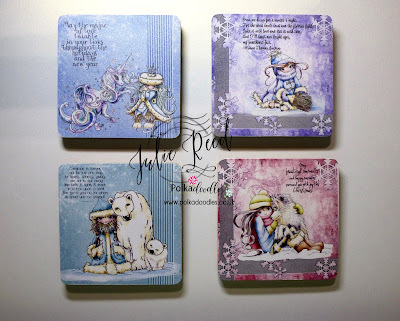 Jane P. - It was a very exciting week in creating my card this week...Not only did I use Winnie in Winterland but I received my order of dies. More details on my blog. 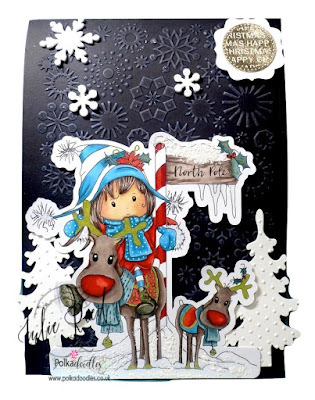 Julie - I have also used an image from Winnie Winterland, which I have coloured with Copics and matted onto a black snowflake embossed background. Lori - For my card this week, I have used the Bubbleicious die set and one of the super cute images from Baked with Love download collections... I was so excited to receive my dies and get playing! Monica - This week I got two beautiful craft cutting dies, Flowers 2 and Super Sprigs. 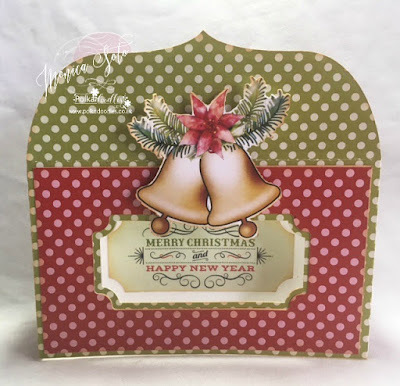 I used both to make a Christmas card, using an embossing folder to add some texture to the flower petals and then distress ink to some Christmas colours. 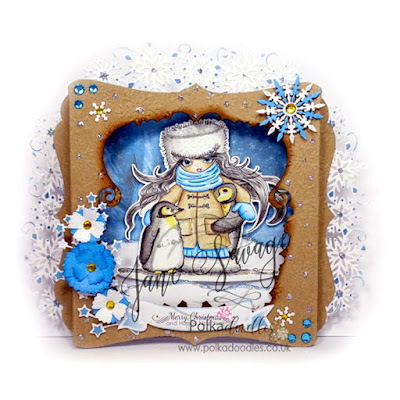 The sentiment is from Winnie Winterland. Please email us HERE quoting DCW042001 to claim your prize of £5 worth of downloads from the digi store! 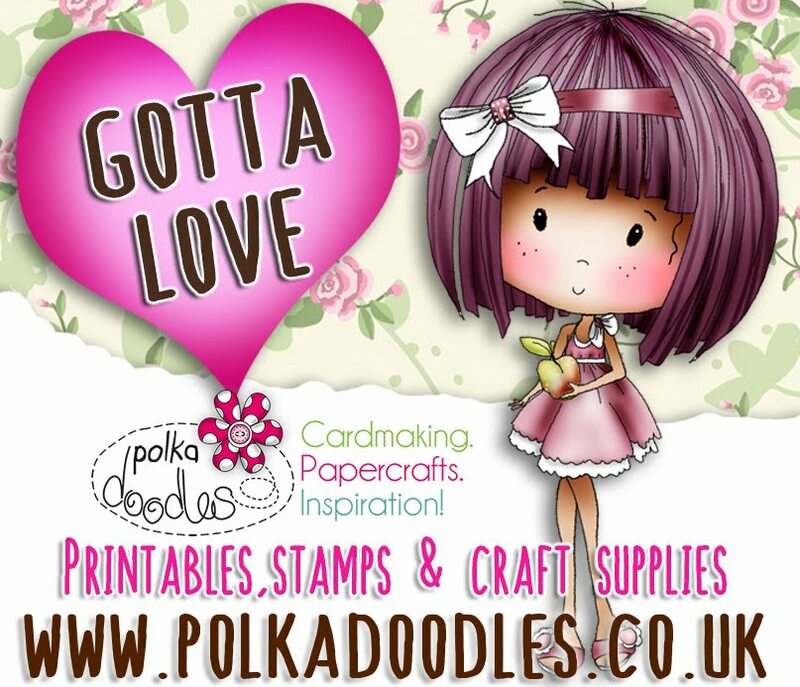 Dont forget to order your FANTASTIC new kits! The winner and top 3 for week 41 can be found at the bottom of this post. Anjie - I've used the stunning Winnie Winterland to make my card this week. Everything on the card is from the collection apart from the red and white sprigs behind the flowers, they are done using the Polkadoodles Super Sprigs Die. More photos and lots more info on my blog. 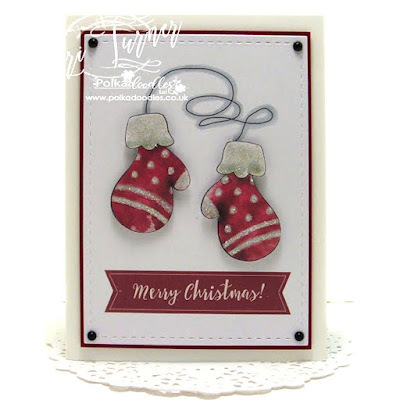 Lori - For my card this week, I chose to show off these super cute mittens from the newly released Winnie Winterland Download Collection. 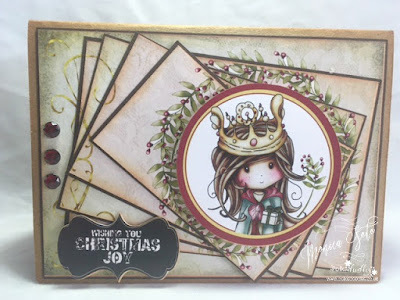 I decided to leave it very CAS and show that these collections can be used with layers and layers or they can be used extremely CAS...the possibilities are endless! 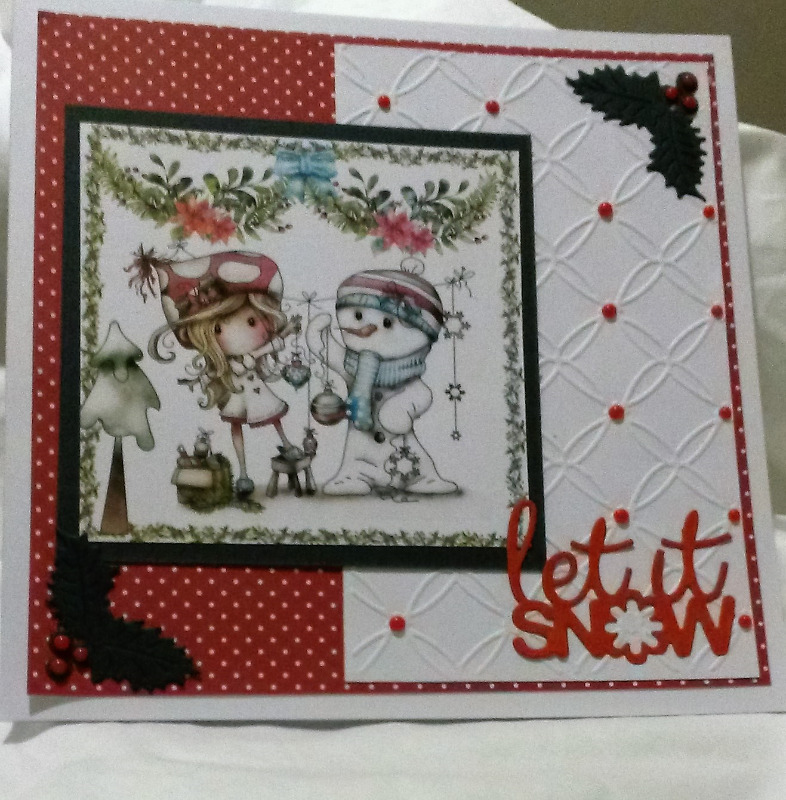 Jane P - Oh what a surprise....I used the Winnie in Winterland collection, I do so love this collection. What other image would I use than Santa and Winnie for red and white. 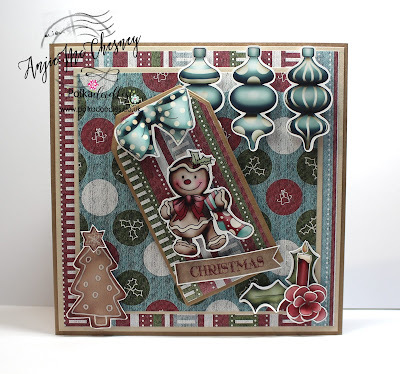 Jane S - My card also uses the fabulous Winnie Winterland Collection with the gorgeous Candy Cane Elf as my focal point. 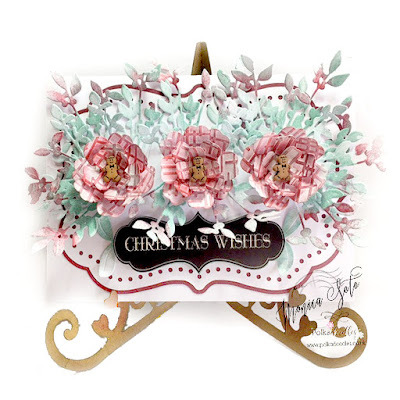 I have also used the new Elegant Lamplight and Cherry Blossom die sets. Monica.- I always try to make a pocket letter set with each new Polkadoodles collection and this challenge was perfect to make one with the adorable Winnie Winterland. Just a little bit of "true snow" to add more white and texture to my set. Please email us HERE quoting DCW44001 to claim your prize of £5 worth of downloads from the digi store!